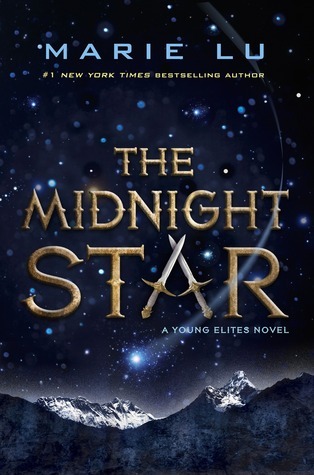 The thrilling finale to the New York Times bestselling Young Elites series from “hit factory” Marie Lu. There was once a time when darkness shrouded the world, and the darkness had a queen. Adelina Amouteru is done suffering. She’s turned her back on those who have betrayed her and achieved the ultimate revenge: victory. Her reign as the White Wolf has been a triumphant one, but with each conquest her cruelty only grows. The darkness within her has begun to spiral out of control, threatening to destroy all that she’s achieved. Adelina’s forced to revisit old wounds when a new danger appears, putting not only Adelina at risk, but every Elite and the very world they live in. In order to save herself and preserve her empire, Adelina and her Roses must join the Daggers on a perilous quest—though this uneasy alliance may prove to be the real danger. Bestselling author Marie Lu concludes Adelina's story with this haunting and hypnotizing final installment to the Young Elites series. Adelina has come so far from being the person who the world was disgusted with to a person the world feared. Marie Lu has really taken a different, darker path with Adelina and has succumbed to her power and the darkness. This is not the girl who Violetta would call "Mi Adenine"
In the end. Marie Lu delivers yet another stunning and heart wrenching end to a trilogy I have given a piece of my heart to each of the characters. If you have not read this trilogy or anything by Marie Lu please, please, please go read. And just remember..."this farewell is not forever."